Need a DWI bail bond? If you or your relative has recently been arrested for a DWI in Raleigh, give us a call. You can count on us to get them out of jail and free again in no time at all. We know all the ins and outs of the bail system, so you can trust us to lead them through the system in an efficient, fair manner. Give us a call today and we will do all we can to help get their lives back on track. DWI crimes are taken very seriously. Each year over 10,000 people in the United States are killed in accidents involving drunk driving. If you’re arrested for a DWI you could be facing serious fines and jail time. 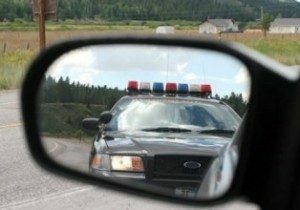 DWI bail can also be very high, sometimes many thousands of dollars. When you call us for DWI bail bonds in Raleigh, we will be able to get your friend or relative out of jail fast. First, a magistrate must set their bail amount. After that, and after a cosigner has filled out the paperwork, paid the required bail bondsman fee, and set up and collateral, your agent will head right to the jail and bail your friend or relative out. If you need service from a DWI bail bond in Raleigh, we are the ones to call first. We have all the experience needed to get you out of jail fast. We will help your friend or relative meet your obligations to us and to the court. Call us today, and we will have them out of jail in no time at all!